South Burlington, VT — Magic Hat Brewing Company is announcing a new collaboration with legendary Boston rock band the Dropkick Murphys. The brewer met the band after learning about their non-profit charity, the Claddagh Fund, and soon after, the band visited Burlington to try their hand at brewing alongside Magic Hat's brewers. The result of their mutual love of charity and ale is Barroom Hero. 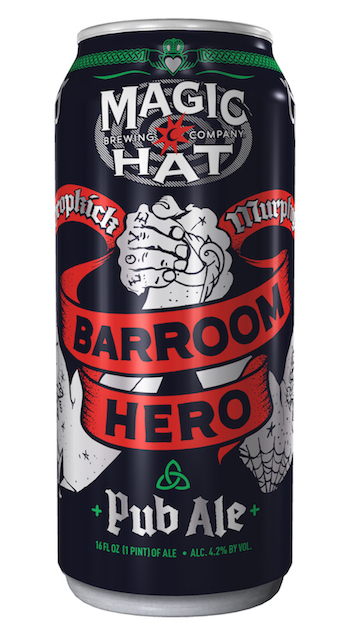 Barroom Hero is a traditional English "pub ale," dark amber in color and with a roasted coffee aroma that invites the imbiber into a smooth caramel and chocolate malt finish. 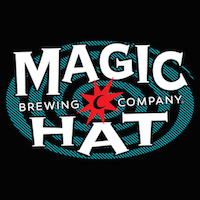 "We all agreed this was the perfect beer to join the band on their upcoming U.S. tour," said Chris Rockwood, head brewer at Magic Hat. "It's genuine, with body and flavor. Not another red ale or stout." The beer's art was created by Magic Hat's in-house label artists along with Cambridge, MA tattoo artist, Dave Norton of Pino Brothers Ink, an accomplished designer and close friend of the band. During the creative brainstorming of the beer's label, Magic Hat and the Dropkick Murphys agreed that the attributes of the Claddagh ring needed to be represented: Friendship, Love and Loyalty. Barroom Hero benefits the Claddagh Fund, a charity created in 2009 by Dropkick Murphys frontman, Ken Casey. The Claddagh Fund's mission is to raise money for the most underfunded non-profit organizations that support the most vulnerable populations in our communities. "The Claddagh Fund has become the driving force behind what keeps the band so motivated," said Casey. "After a while being a musician, it's nice to have purpose, and hopefully this carries on long after the band's done." Barroom Hero starts shipping in February, in time for the band's spring U.S. tour and St. Patrick's Day, and will be available for a limited time through the summer in 4-packs of 16oz cans and on draught.